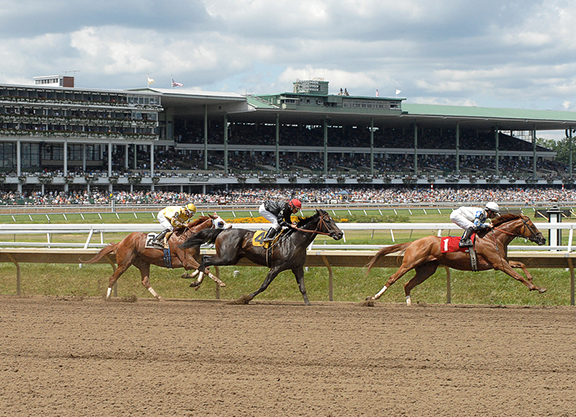 Headlined by the $1-million GI betfair.com Haskell Invitational, Monmouth Park is set to offer $7.1 million in stakes races over 61 days of racing at its 2019 meet, it was announced Thursday. The track kicks off its 74th year of racing Saturday, May 4. The Haskell will shift from its traditional Sunday spot on the calendar to a Saturday this year, July 20. In total, Monmouth will race nine more days in 2019, compared to its 52-day schedule in 2018, while the $7.1-million stakes program represents a significant increase over last year’s $4.3-million docket. In addition to funds generated by Monmouth’s sports betting operation which opened in June 2018, the track is poised to receive a $10-million influx in purse money thanks to a bill that recently passed through state legislature. “This year will be a game-changer for Monmouth Park and for racing in the State of New Jersey,” said Dennis Drazin, Chairman and CEO of Darby Development LLC, operators of Monmouth Park. “For too long we have seen our neighbors enjoy casino-fueled purses placing New Jersey at a competitive disadvantage. With a $100-million purse subsidy over the next five years, half of which is dedicated to Monmouth, awaiting the signature of Governor Murphy, we can now start to close that gap and move Monmouth Park to a more even playing field. Drazin added that Monmouth would offer “approximately $500,000” in purses per day during the 2019 meet. In an effort to showcase top events, Monmouth will once again offer bundled stakes cards on May 25, June 22, July 20, Sept. 1 and Sept. 28, with the latter serving as a championship day for the MATCH Series, which is back after a successful return last year. 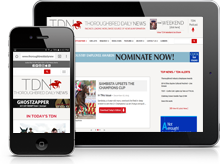 The 17th annual New Jersey Thoroughbred Festival, with three stakes events, will be renewed on Aug. 25. Stall applications, which are due by March 15, are now available online at monmouthpark.com or in hard copy format in the Monmouth Park racing office.